Travel to the past, restore history, preserve your family. But first you have to win the girl. Too bad you can&apos;t make someone love you. In the summer of 2015, military historian Harrison Seely inherits his grandfather and namesake&apos;s house in Princeton, New Jersey. 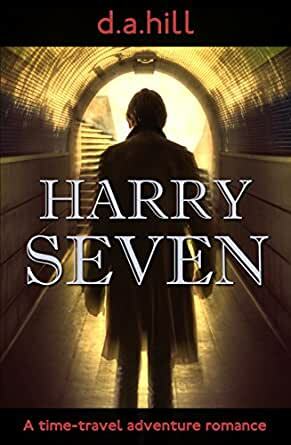 When he steps out the front door of his new home, he finds himself in London in the year 1943. At the urging of mathematician Lady Alicia Rowntree he agrees to use his knowledge of the past, her future, to bring the war to an early end. To do that he must convince General Eisenhower to postpone the D-Day landings, all while avoiding the murderous interest of a mysterious Russian. 5.0 out of 5 starsTime travel can change your life - Great read! Another excellent read from D.A. Hill. I thoroughly enjoyed this story. It is a nicely woven tale set (mostly) at the tail end of World War II. We get close enough to some familiar historical characters to add a great sense of realism to a tale with a science fiction element. Nicely done Mr Hill. You had me totally involved with your characters. I highly recommend this book. Congratulations on delivering another great read. I loved the idea of the door as I he link to the past and future and how although Harry was the link he was able to share this with others. The story and characters where true to their time and I enjoyed being able to get both key characters perspectives. I couldn't put it down. Another great read D.A. Hill. Thoroughly enjoyed the book, interesting concepts, well researched, and gets you in from beginning to end. I highly recommend it. 4.0 out of 5 starsA well reaseached and written time-travel adventure. I picked up three time-travel books on Kindle. Of the three, this was the more interesting one. The writing is fine, the history well researched as is proper for a time-travel story that involves places and incidents we are at least somewhat familiar. This one covers the WW2 years 1943 and 1944. It kept my interest to the end. If I have quibble it is the ending. All ends well but no HooRah, more of a thud, it is over. I never did figure out who the baby in the photo is. But a good read. I enjoyed it to a point. It was a bit confusing, when it talked about the different time streams. It was explained later, but I did not buy the concept. In short, it was a good story, but it could have been better. This was one of the better time travel books I have read in awhile. Very enjoyable characters and storyline. 5.0 out of 5 starsBest fiction book I have read in a good long while. This is truly a WWII history buff's book. I have given this book five stars only because Amazon won't allow me to give more. Kudos Mr. Hill, kudos. Typically I am very critical of "history" novels when they get things wrong, which so many unfortunately do. One recent example, set in 1930, mentioned a character's brother recently died of the SWINE FLU - I immediately deleted the book and fortunately found this one to read.